In Turkey, it’s never easy to arrange interviews. This is especially true in Istanbul, where life is saddled by traffic and the near-constant movement of the city’s roughly 18 million inhabitants. Still, tracking down the owner of a shop selling branded merchandise celebrating the world’s most currently infamous terrorist group proved to be a particularly tall order. In the sleepy working-class neighborhood of Bagcilar, nestled just a kilometer away from Istanbul’s Ataturk Airport, life moves at a slower pace than in the heart of Istanbul. The central tram line of Istanbul’s European side—the T1—ends in Bagcilar after taking nearly two hours to snake past the city’s grand attractions, such as the Ayasofia and the Blue Mosque. Few passengers were left on the tram by the last stop when I visited few weeks ago. It was a particularly humid summer day at the height of the Muslim holy month of Ramadan. Large tents were set up, where vendors waited patiently for dusk and for thousands of hungry and pious people to break the day’s fast. The tents prominently featured logos of the Turkish aid organization Humanitarian Relief Foundation, the group behind the infamous Mavi Marmara aid flotilla to the Gaza Strip that was stormed by Israeli commandos who killed 10 Turkish activists in 2010. The group has recently been accused of having links to al-Qaida but operates openly in Turkey and maintains high-level support from several senior politicians, including Prime Minister Recep Tayyip Erdogan. A few blocks from the square, past several nondescript electronics stores and dozens of kebab stalls, is a modest, one-room shop called Islami Giyim, or Islamic Clothing. At first, the store appears to be nothing more than a depot of a neglected wholesaler: a bare room sparsely populated with a smattering of mannequins featuring niqabs, the black, full-length face and body coverings worn by pious Muslim women. In the center of the room, a well-worn work desk stands buried under a pile of papers, rulers, tape measures, and swatches of fabric. 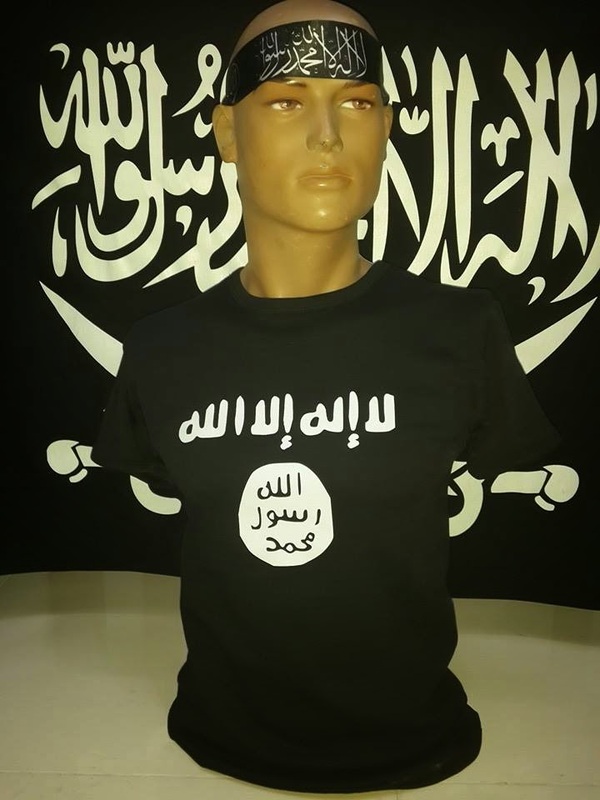 The shop would barely perk the interest of an unconcerned passerby if it weren’t for a prominent rack of men’s clothing ranging from T-shirts to sweatshirts to cargo pants placed directly in front of a main display window featuring the logo of the Islamic State of Iraq and Syria, or ISIS. The Sunni extremist group has captured the world’s attention in the past two months thanks to its rapid territorial gains in Iraq and the brutal brand of Shariah law it enforces in towns it has captured.